Investment potential, popularity and charm combine to make the new brilliant uncirculated Chinese Gold Panda 2019 30g a great choice for buyers. And introduces a new international weight standard for gold Panda enthusiasts. It’s important to note that the Chinese Gold Panda has been struck in each year since 1982 (1983, 1984 and so forth up to and including 2015). 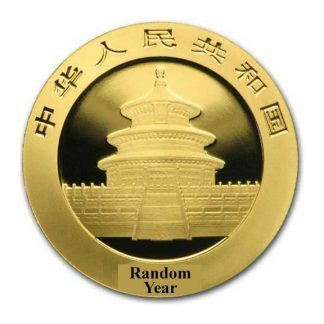 In each of these subsequent years the gold weight of the Chinese Gold Panda has been exactly 1 oz of pure gold. In 2016 the China Mint changed this international standard and created a new gold panda which contains 30 grams of pure gold (.9645 oz). 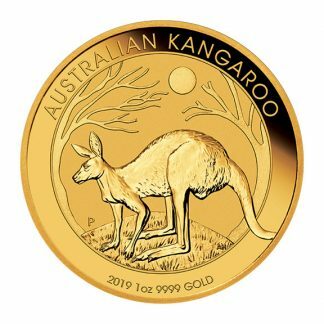 So now you have essentially two groups of Chinese Gold Pandas – those struck between 1986 and 2015 which contain one pure ounce of gold and those struck in 2016 and 2019 which contain slightly less than one ounce of pure gold. 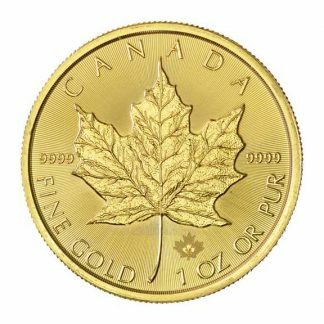 For this reason there are now two “buy” and “sell” spreads for this popular gold bullion coin. One for the Chinese Gold Panda 1 oz and another for the 2016/17 Chinese Gold Panda 30g. 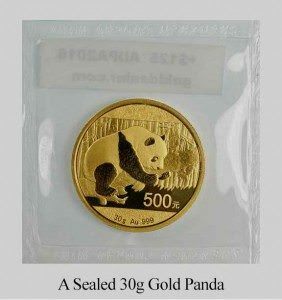 This page offers our live “buy” and “sell” prices for the Chinese Gold Panda 2019 30g. This new gold coin, the Chinese Gold Panda 2019 30g carries forward the traditional features which make the gold panda so popular. And the China Mint continues to keep everyone interested by changing the coins’ design each year so collectors eagerly await the latest coins. 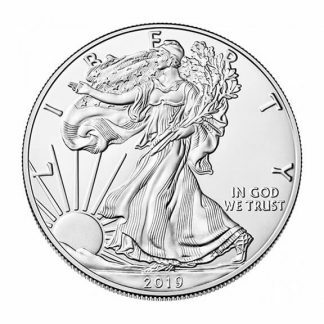 Many buyers wish to own at least one example of each year’s design and seek out both new and older coins to form sets. By many measures Chinese Pandas are the world’s most popular animal. They are used as symbols for everything from cars to kitchenware. Part of their charm is their tranquil nature and distinctive coloring. 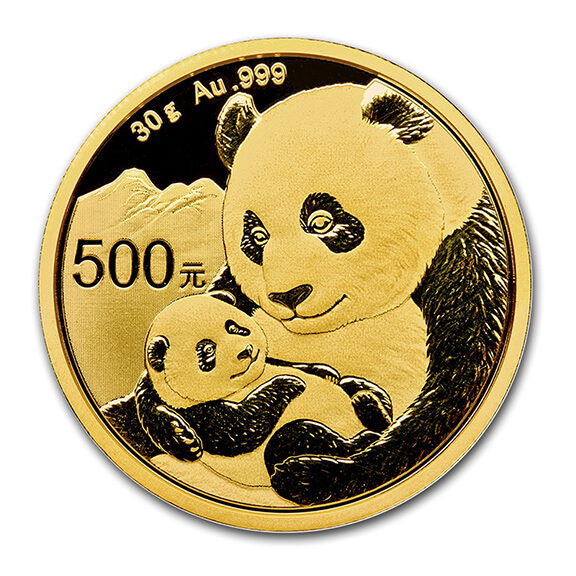 In keeping with the older Chinese Gold Pandas these new coins feature pandas peacefully munching on their preferred diet of bamboo leaves. Indeed, according to the artists who design the coins the Panda is meant to be a symbol of peace and friendship between China and the rest of the world. The largest markets were the USA, Japan and Germany. However, over the last 15 years China itself has become the biggest market for Pandas. 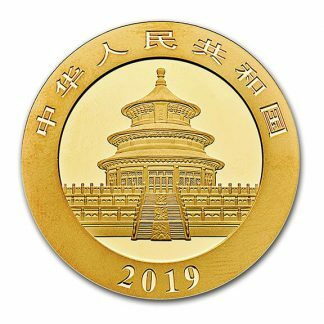 Today Chinese Gold Panda 2019 30g coins are sold not only in coin shops, but also on Chinese TV and in Chinese banks. This coincides with the country becoming one of the world’s largest consumers of gold. The ever-expanding Chinese market holds the promise of greater demand for Chinese Gold Panda 2019 30g coins in the years to come. It also supports prices and provides depth to the market. The Chinese Gold Panda 2019 30g offers one of the best and most interesting ways to invest in gold bullion. 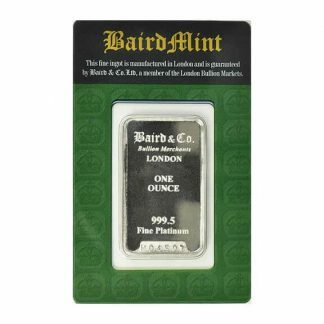 They offer guaranteed purity, international recognition, a liquid market and the added bonus of strong interest from coin collectors.